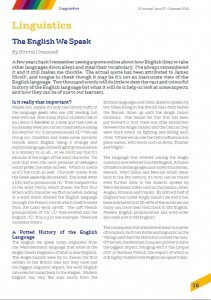 As England and later Britain grew and expanded, new trade routes, colonisation and subsequent immigration brought countless new words into the English language. Early trading with other sea-faring nations introduced numerous loan-words into the English language. Arabic, Hebrew, Persian, Chinese, Hindi, Spanish, Portuguese and Dutch all contributed words to the English language in this period. Later, as trade gave way to colonisation English absorbed even more words. The early Pilgrims took words from the indigenous American population such as raccoon and squash. At the same time lots of place names in the USA still reflect the native languages: Mississippi, Ohio, Massachusetts (to name just a few) in the same way that English place names still reflect the original Celtic dialects. From the Caribbean to India via the Pacific and the African continent, English acquired words such as bungalow, canoe, barbecue and zombie. [x] Words which are still commonly used today. Having spent nearly six years in Buenos Aires, Argentina, where amongst other things she completed her DELTA and became a connoisseur of the local brunch scene, Emma decided that she needed a new challenge. Sticking to Spanish speaking countries, she moved to IH Santander in January 2014 to become the DoS. As well as reacquainting herself with the nuances of the local language, Emma is fast familiarising herself with the local culinary scene and the numerous pincho restaurants to be found in her new home. 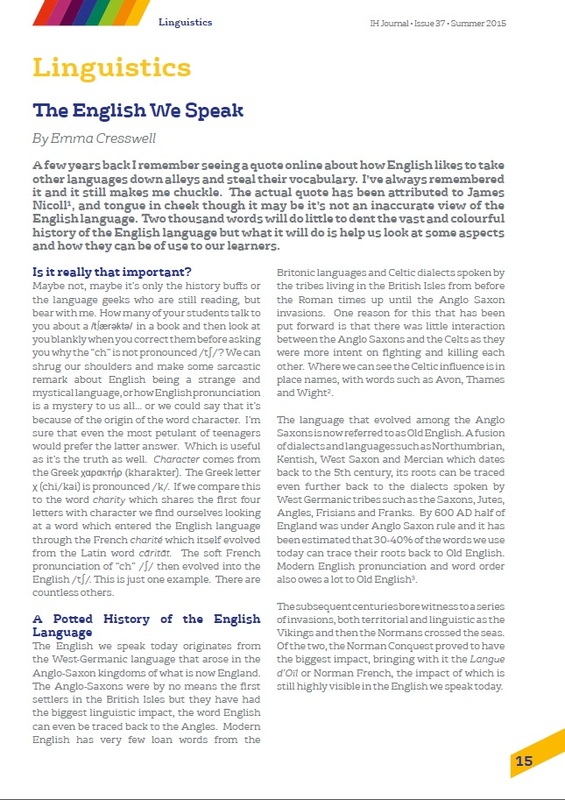 Emma’s interest in etymology stems from a throwaway comment made by an old French teacher. Since then she has been squirreling away interesting facts toentertain (bore!) people with when out on a pincho crawl.